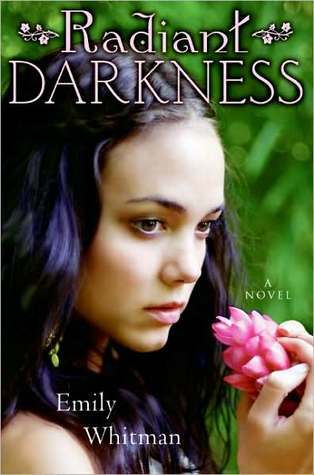 I n honor of Spring Break, I’m giving away a hardback copy of RADIANT DARKNESS by Emily Whitman. Enter for a chance to own this intriguing twist of Greek Mythology. It’s a deep voice. I can feel it reverberate in my chest and echo all the way down to my toes. I know I should leave, but I don’t want to. I want to keep my senses like this forever. I’m all eye, all ear, all skin. Persephone lives in the most gorgeous place in the world. But her mother’s a goddess, as overprotective as she is powerful. Paradise has become a trap. Just when Persephone feels there’s no chance of escaping the life that’s been planned for her, a mysterious stranger arrives. A stranger who promises something more–something dangerous and exciting–something that spurs Persephone to make a daring choice. A choice that could destroy all she’s come to love, even the earth itself. In a land where a singing river can make you forget your very name, Persephone is forced to discover who–and what–she really is. You must be 13 years old or older to participate in this giveaway. This giveaway is open to the U.S. and Canada only. The winner will be contacted via the e-mail provided. Through either subscribing to my blog and/or following me on Twitter, you can gain up to two additional entries. Contest ends March 14th, 2012 at 11:59 pm. Looks like a good book. Good giveaway.